How healthy is our Victorian residential development industry? 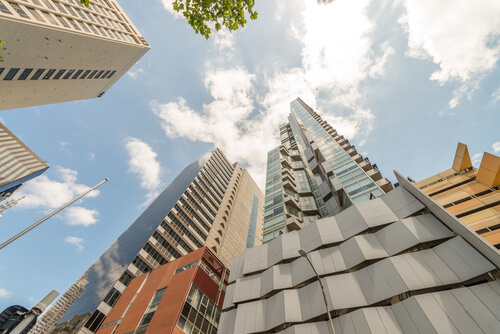 Together with the Urban Development Institute of Australia (UDIA), Ernst and Young (EY) has presented its findings in its recent UDIA Index of Economic Activity report. From the report, four key trends emerged in residential development activity. The review has concluded that the market remains historically strong with some emerging soft spots. EY considered the balance between demand and supply and found that over the last three years, the net annual additional supply of dwellings has increased marginally and, due to significant population growth in Melbourne, demand has increased by around 14 per cent in the past year alone. The findings also signal good news for Australia’s economy as the construction of residential dwellings and the associated infrastructure requirements are estimated to generate almost $65 million and support almost 180,000 full-time, part-time and casual jobs across the Victorian economy. Melbourne’s growth areas have likewise experienced growth in approvals since 2013-2014 due to strong volumes of lot releases and high volumes of interstate and overseas migration. In these growth areas, lot production remains strong with volumes over the 2016-2017 financial year to March at 80 per cent of the 2015-2016 full-year result, and well above averages for the last 6 years. Building approvals for growth areas is forecast to reach a total of 19,149 dwellings in 2016-2017. Commencements of apartments in larger projects are expected to significantly exceed the outcome for 2015-2016 financial year, but the figures will fall short of those reached in the peak historical high of 2014-2015 financial year. The volume of apartment complexes of four or more storeys have increased slightly whereas one- to three-storey apartment continue to cause strain to development activity. EY also forecasts that developers will need to reduce the sales prices for new apartments in the coming years to remain competitive due to the removal of stamp duty concessions for off the plan dwellings and foreign buyer surcharges. Based on recent data, in some local government areas, EY states there have been some weaknesses in building approvals. As stated previously, apartment commencements have been strong throughout the 2016-2017 financial year, so this weakness indicates that it is within smaller apartment projects and townhouses. Changes to the Neighbourhood Residential Zone (NRZ) may have impacted these smaller projects. However, the recent changes to the NRZ such as the removal of the lot cap is expected to correct some of this weakness.